All of our glass and mirror work is performed by highly skilled and experienced glaziers, who are knowledgeable about the glass industry’s best practices and current building and safety code requirements. Everything we do is fully customizable and guaranteed. As a testament to the exceptional quality of our glass and mirror services, we have tens of thousands of satisfied customers. At Community Glass & Mirror, we work toward achieving complete customer satisfaction on each and every glass and mirror job. To this end, we make sure every customer gets a high-quality finished product that meets or exceeds their expectations at a fair and competitive price. If you are looking for glass or mirror services in the San Marcos, Vista, Carlsbad, and Oceanside area, call us today for a free estimate. As a full-service glazing contractor based in Escondido, California, Community Glass & Mirror is able to offer comprehensive window repair, installation, and replacement services to homeowners and business throughout Oceanside, Carlsbad, San Marcos, and Vista. Our window services are provided by experienced glaziers who are dedicated to expert craftsmanship, lasting results, and complete customer satisfaction. They can install, repair, and replace all types of windows, including but not limited to sliding windows, fixed windows, awning windows, bay windows, and storefronts, and customize these windows with your choice of glass, glass tint, frame material and shape, screen, and hardware. 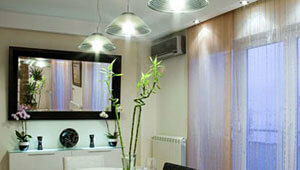 We has access to most major brands of window, such as Andersen, International, and Crystal Pacific. If you are interested in upgrading your home or business to be more energy efficient, nearly any window can be installed or retrofitted with low-emissivity or low-E glass, which blocks UV rays, reduces glare, and lowers indoor temperatures. Call today for a free estimate on our professional and affordable window services in San Marcos, Oceanside, Carlsbad, and Vista. If you have a broken window or door in need of replacement tempered glass, it can take one to two days to get the replacement glass ordered. In order to protect your home or business while you wait for the order to come in, Community Glass & Mirror offers emergency board-up services in Vista, San Marcos, Oceanside, Carlsbad, and surrounding areas. Any time of day or night, you can call us, and we’ll arrange to send out a glazier in a service vehicle well stocked with plywood to replace the broken glass in your windows, doors, or storefronts. If needed, we can make sure that your door can still open and close. While on site, we will take the measurements we need for your replacement safety glass and come back to complete the installation as soon as the glass is ready. Call today for 24/7 board-up service in San Marcos, Carlsbad, Oceanside, & Vista. Community Glass & Mirror custom makes high-quality mirrors for shelves, tabletops, hanging frames, walls, kitchen cabinets, vanities, and more. 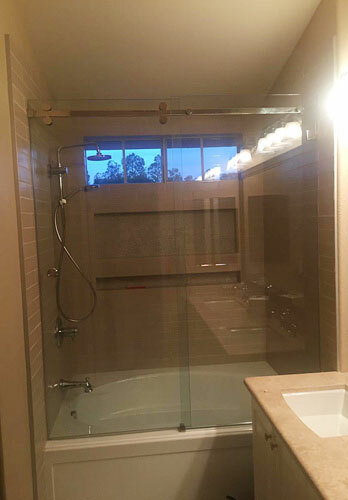 Give us a call and we will dispatch one of our experienced glaziers to provide a free consultation regarding your mirror project in Carlsbad, Oceanside, San Marcos, and Vista. 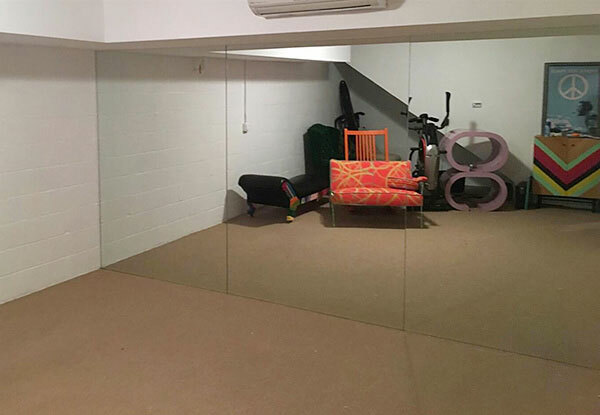 Our mirrors can be designed to accommodate nearly any residential or commercial application, and can be tinted, beveled, polished, and cut to a pattern. 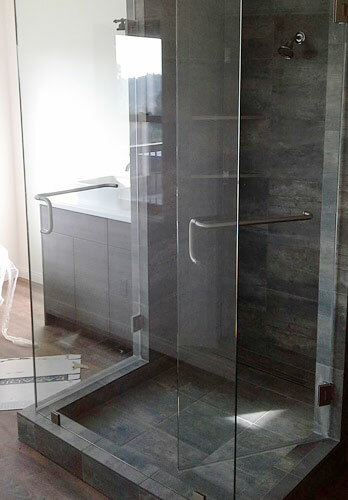 Because we are experts in glass, you can count on us to make sure that your mirror is the proper thickness to meet all applicable safety codes as well as minimize image distortion. We welcome mirror projects of all sizes and serve residential and commercial customers throughout San Marcos, Vista, Oceanside, Carlsbad, and surrounding cities. We also install and replace glass in automatic sliding doors, and offer glass replacement and retrofitting services for renovations and repairs. All of our work is compliant with current building codes, and we stand behind our work with a one-year warranty. 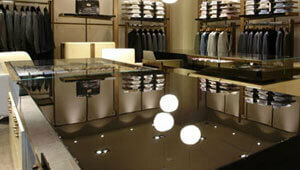 Call today for any commercial glass and mirror services in Carlsbad, Oceanside, San Marcos, and VIsta. 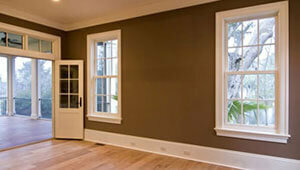 We offer free on-site consultations. Whether you want to preserve the gorgeous views from your pool deck or give your offices a modern and open feel, a glass railing system offers the perfect solution. With our fully customizable glass railing systems, you can have a glass handrail, banister, guardrail fence, windscreen/windbreak, or pony wall that is as elegantly beautiful as it is structurally sound. At Community Glass & Mirror, we’re experts at glass railing sales, design, installation, and repair. 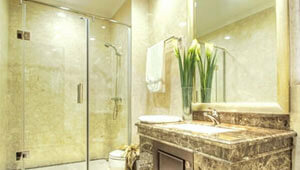 We have decades of experience, highly skilled glaziers, and thousands of satisfied clients. Call today to schedule an on-site consultation. We provide our glass railing installation services in Oceanside, San Marcos, Vista, Carlsbad and all surrounding areas. I've used this company twice and my grown kids have used them as well. I wanted to let everyone know that they have excellent customer service. Mike, who . . .